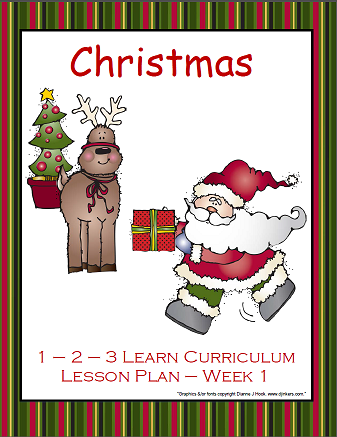 I have added one weeks lesson plan to 1 - 2 - 3 Learn Curriculum - under Christmas - All Month Long. There is also the lesson plan for MN providers that go through Parent Aware - this lesson plan is done using the ECIP's. (Early Childhood Indicator's of Progress). Lesson Plans are marked accordingly. As always - more will be added. I logged into the the website and I cannot find the lesson plan. Please help!